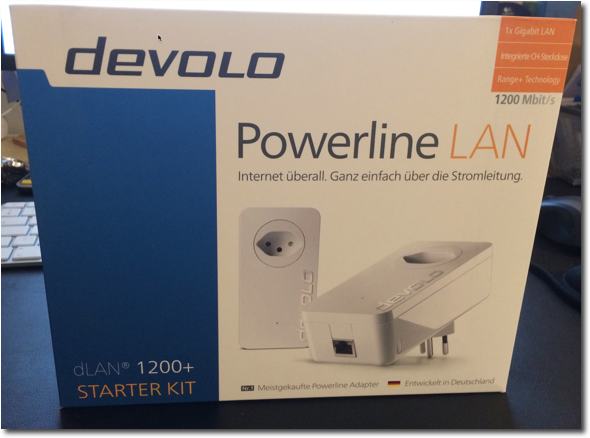 I discovered the Devolo Powerline adapters (made in Germany) some years ago. They basically allow you to expand your data network on your house or office with almost nothing but plugging the devices to wall electrical outlets. How it works is very simple, you plug a Powerline to a wall power outlet and connect your ethernet cable to the computer you would like to connect. Then connect another Powerline near the switch or router of your house and plug an ethernet cable from the the router to this second adapter. The devices will connect to each other using your building powerline cables and will establish a network connection. This technology is called: Power Line Communication or PLC, you can read more about it here. By using the Devolo Cockpit software that you can download for free here, you can see how the connection between the two devices is working and you can also set a password to encrypt the communications between the two of them. 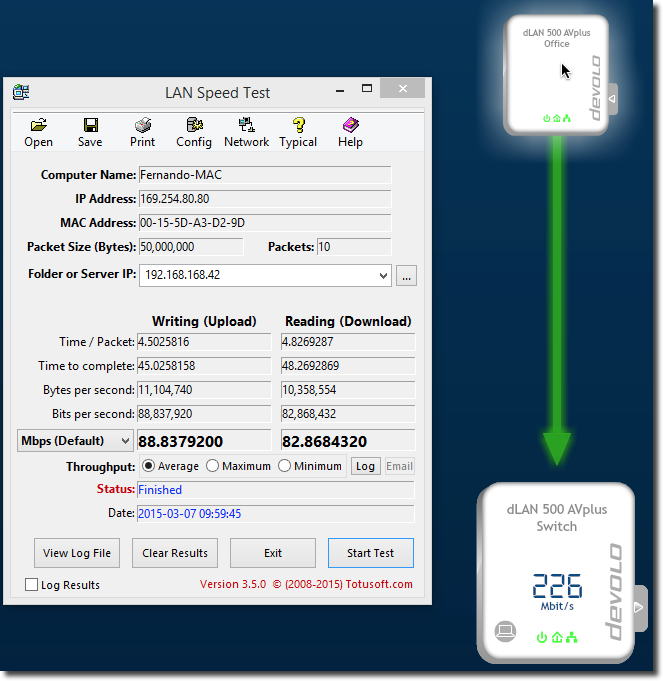 On this post, we are going to review the new dLAN 1200+ Starter kit model, which comes with two powerline adapters, and two ethernet cables. Its also HomePlug certified. Before going to the tests, we need to understand the scenario, because this will influence how the Devolo Powerline will behave. These babies are very sensitive to power bars, so you want to connect them as straight forward to your wall electrical outlet plug as possible, otherwise their performance is going to really be degraded or they might not work at all. I have an office room where I use a MacBook Pro with OS X and a Virtual Windows 8.1 running over Parallels. I have plugged a CAT 6 Ethernet cable to the Apple Gigabit thunderbolt network card. The other end of the ethernet cable is connected to the powerline, and it to the wall. On the other side, I have placed the other devolo connected inside the box that centralises my power supply and other stuff in my house. Here I connected the ethernet cable coming out from the Devolo to a NetGear Gigabit switch that connects to the rest of my house. Here in Switzerland is common that modern houses have several ethernet cables already inside the walls of the house. Thats why I have a switch centralizing the wired connections on this box. From a Software point of view I used the Devolo Cockpit application to see how it interpreted the connection between the PowerLine adapters and also Lan Speed Test (Client & Server) a nice application from TotuSoft that works very well to test network transfer speeds. In this case all tests were copying and writing a 50MB file. As you can see on the following chart, clearly the speed of the latest dLan 1200+ exceeds by far the performance of the not so old 500 AVplus model, unfortunately I don’t have the 650 AVplus model to test. The mixed environments between a 50o and a 1200 showed the expected behavior in networks; the whole speed is reduced to the slower device on the two points. For some reason, I couldn’t make the 200 model work on the same environment, so lets leave the poor guy as “out of the equation” :(. 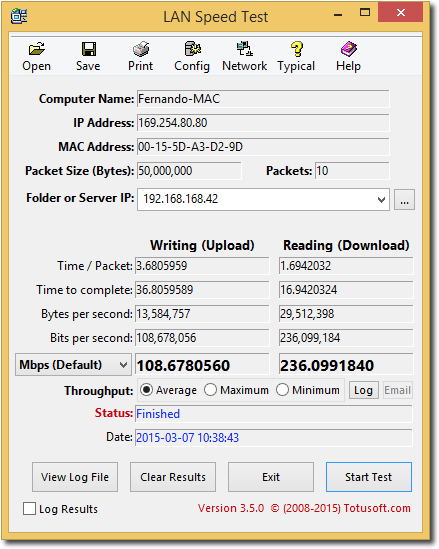 These are the results of a speed transfer between two Windows PCs connected to each other through ethernet cables and Gigabit Switches. So that you have the perspective of how a wired network looks in comparison. So you can agree, or disagree with their marketing tactics, but while what they claim is true (there are overheads involved), I still find it a little bit too exaggerated. If you check the last images of the collapsible menu below the comparison chart, you will notice that when I did the Gigabit speed test over my wired network the speeds were: 811 Mbps write and 792 Mbps read, much more closer to reality, but of course with almost no overhead. – My uncle lives in a big apartment, he needed Wifi to reach to the other side of his house. We tried installing wireless repeaters but this was a mess, very unstable and the connection was dropping constantly. We plugged the Powerlines and voilá problem solved. We plugged one side to the switch, the other side to a wireless extender and now has stable wireless on both sides of his flat. 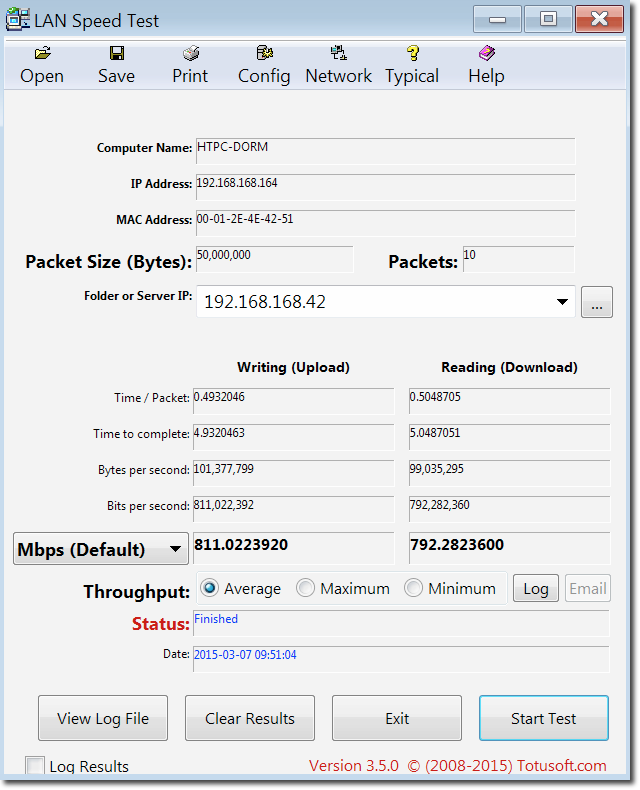 – My brother in law wanted to share his internet connection with his mother that lives next door. To do this, we plugged one device on his house, the other one on his mother house and with a wireless access point on each side, they now have internet on both houses. I am not sure how these two Powerlines were able to see each other considering they are in two different houses, but I know that in the past they were only one house, so maybe thats the reason. – I myself use these babies to connect my main computer on the office. On this room I don’t have an ethernet cable inside the walls of the renewed apartment I rented. Here in Switzerland you have to be very careful on the modifications you make on a house, this also includes making holes on walls, and such. So the Devolo played a key role in my flat to connect devices that need a stable ethernet connection without having to use any new long ethernet cables. Size: I was surprised to see that the size of the 1200+ model was almost as big as the old 200 AVplus, I thought it would have become smaller with the years, but no. True Speeds: If I were Devolo, I would be more honest with the speeds you can expect from the device. Otherwise although they work well, after purchase you will still feel the disappointment taste on your mouth. Design & Usability: This I think its one of the things they need to improve most. I dont know if this happens only in Switzerland, but since model 200, the Powerlines have the same problem. When you connect them to the wall, they block any other available plugs. I would expect to be able to connect them somewhat like this (right side), but the third leg of the plug (earth) is on the opposite side, so I cant. 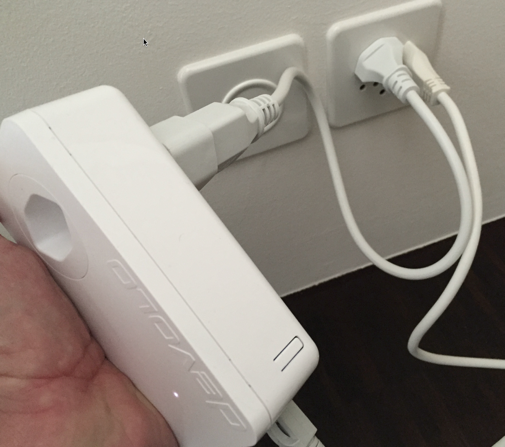 I asked a friend also in Switzerland to check how the devices would fit on his wall plugs, and the same occurs. They keep on blocking all other power plugs. So the only solution I came up with to solve this problem, it to connect them through this short extender which doesn’t have any filters. I know, its not the most tidy thing to do, and I will have to fix somehow the device to the wall or leave it on the floor, but at least I get to use the other plugs on the wall (which I need). For Devolo it shouldn’t be so difficult to include some adapters or a rotational plug on the device so that it can be plugged in different ways. We liked the new updated speeds of the Devolo dLAN 1200+ its clearly an upgrade from previous versions. It solves a problem if you can’t use ethernet cables or if you dont want to rely on an unstable wireless connection. It does the job and we can recommend them. Anybody can actually use them because they are very simple to use, so you will be safe if you are not a computers literate. In terms of price you can find a pair of these in Amazon:DLAN 1200 PLUS STARTER KIT for USD 268 (in Switzerland they cost around USD 153). So the pricing (at least in Europe) is not so tough, but still more expensive than other brands. Have you ever used Devolo’s devices before? Feel free to share your opinion below.